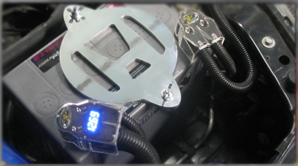 Car audio terminals help you distribute power from your battery to amplifiers, and speakers. We stock a wide variety of terminals with various finishes and styles including: battery terminals, speaker terminals, ring terminals, grounding terminals, and banana plugs. If you are looking for high quality terminals that will ensure perfect power transfer look at our selection below.